Gulf Shores Homes: This beautiful renovated home sits on the end of two canals with a boat dock, pool and 2700 sf of luxury living. This home is at the end of the cul-de-sac which provides privacy and room to fish off your dock and access to the Gulf of Mexico. All new appliances, roof, A/C and many other bells and whistles to make this home a desirable waterfront property. The boat pictured is 43 foot, and room for larger boat. Floor plan under supplements. Gulf Shores Homes: SPECTACULAR WIDE WATER VIEWS. Elevated. Open and bright with high ceilings, fireplace and private boat dock. Just remodeled w/ numerous upgrades including quartz counters, Italian tiles. Deep water for sailing boat and easy big boat maneuverability. Close proximity to Naples Bay and the Gulf of Mexico. Charming and quiet street. For the Nature lover and boater enthusiast! Island feeling in the heart of town! The best lifestyle that Naples has to offer! Gulf Shores Homes: After reflecting on canal property buyer’s desires for dock and boat lift addition, a price adjustment of $70K buffer has been made. Dock & lift estimate ($46K) available under supplements. With consideration for being on a canal, the updates & remodeling started in 2015. On top of the 48 twelve foot high pilings, sits the updated kitchen with granite countertops & stainless steel appliances. The three bedrooms & two bathrooms have also been updated. The home has a reverse osmosis system for the kitchen sink & the ice through the refrigerator. Other updates to the home includes a home sound system, elevator, tankless water heater, three year old plumbing & electrical with a two year old air conditioner. The flooring in the home is ¾ inch refinished Dade County Pine. The windows are hurricane impact & the home is sided with hardie board. The home also has Simpson-strong ties for the appropriate wood joints throughout the house & clamping systems between the layers of the home. The home is fenced on both sides with new pavers all the way to the new riprap. The grounds are landscaped with drought-tolerant plants. This home is in walking distance to a variety of restaurants & stores. Gulf Shores Homes: Gulf access home with 3 large bedrooms and 2 full bathrooms, and a large florida room. Seawall with boat dock with quick access through Haldemans Creek, and into Naples Bay. This home has been totally redone, new impact windows, fresh paint, new decorative and interior doors and woodwork, tiled throughout with wood floor in master. Updated kitchen and bathrooms. Great location in revitalized Bayshore area, with food truck park, brewery, and eatery's. Close proximity to Downtown Naples. Gulf Shores Homes: This is your opportunity to own a waterfront property with a canal view. It is a 15 minute boat ride to Naples Bay with NO BRIDGES, This is a wonderful investment property or can be transformed into a lovely home. 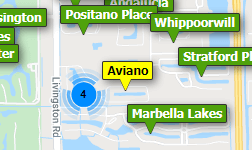 The Bayshore area has become a very desirable area with its close proximity to downtown Naples. Need professional assistance selling your property at Gulf Shores Naples? Find out how an Area Specialist can help to generate more property exposure in order to get the most money for your investment in the least amount of time.